But the fact of the matter remains that America means a lot to me, which is why Superman renouncing his American citizenship has engendered in me some strong and surprising reactions. 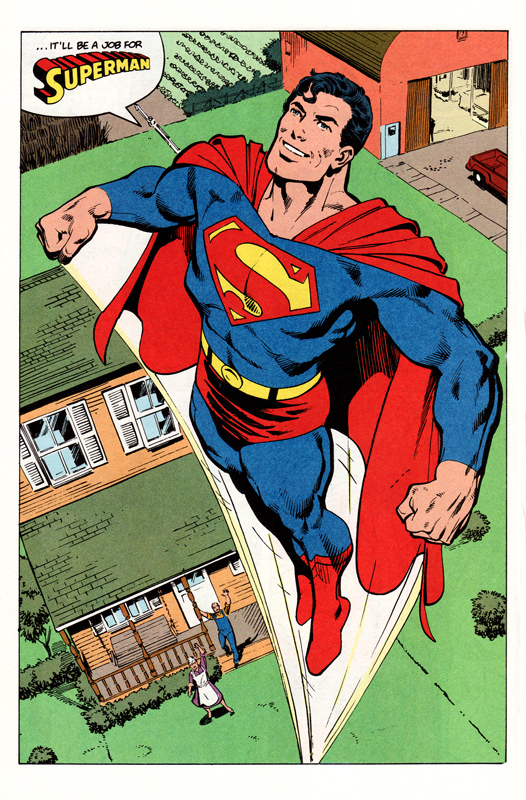 Superman has always been symbolic of the American ideal, I think. A man from a devastated world comes to America. He’s accepted without question, is raised to value truth and compassion above all things, and when he grows up, he uses all of his substantial powers to fight for those beliefs. No matter what else, Superman has always told us that everyone in America, no matter how humble their origins, matters. That everyone in America deserves protection from the people who would exploit them. That, above all, America is a place where peace and prosperity are not reserved for a privileged few, held in the hands of an abusive elite, but are meant for everyone. And Superman has always shown us that every single person in this world deserves the chance to be a champion for that common good – not the good of Lex Luthor’s unceasing avarice, of Zod’s fantasies of military conquest, of Braniac’s deadly, dispassionate calculations of “value.” Superman promised us that we all deserved freedom from the tyrannies of those powers, and he fulfilled that promise in any and every way possible – from punching radioactive space chimps, to protecting villages from typhoons, to helping a little girl get her cat down from a tree. So, it’s kind of a big deal that Superman renounces his citizenship, and it, as I said, engenders a strong, emotional response: pride. The American ideal – of liberty for all, of peace and prosperity for everyone no matter where they come from, for those wretched masses yearning to be free – is the child of American civilization, and it is wicked for any parent to be jealous of its children. Am I supposed to say now that, “Yes, America believes in some great things, but they’re only for US. They’re MY ideas, and you can only have them if you write AMERICA all over everything that you do. Me me me, mine mine mine.” Is that the American way? Truth and justice, liberty and equality are bigger ideas than just America, and they deserve to belong to the world. They matter more than me and my nation – so much more that the idea that we, Americans, could own them, that only we can be the people to distribute them, is laughably absurd. What Superman represents is bigger than America, and I am proud beyond belief that it is my country who served this nativity. It was America that spawned Superman, America that bore him up and raised him, and now Superman will belong to everyone – not just those wretched masses that make it to America’s shore, but every poor, hungry, weary, frightened person on the face of the Earth. As much as I might covet the idea of liberty and equality and justice for my own country, and as much as I might, in my vanity, demand to be acknowledged as a part of the nation that helped to give it birth, I will never begrudge the world its Superman. He is easy to make jokes about, and I think I’ve made more than my fair share. 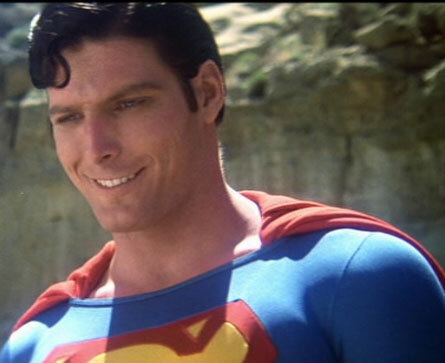 But I still mostly think of Superman as being like a corny older brother, or some really nice dad from the 50s. Sure I mess around and joke, but that doesn’t change my boundless affection for him. For a long time, I’ve wondered why Superman is an exclusively American superhero anyway; I mean, he deals with global and galactic crises every other day, and it’s not as if he’s forcing the ideals of democracy or the American way of life on anyone. Superman is a global hero; that he landed in America and was raised by Americans is, of course, a way to make him relatable to American readers, but is ultimately inconsequential. I actually applaud the writers’ decision to make him a global hero rather than a hero of a single country. Though I’m sure there will be controversy in the coming weeks over this, ultimately it won’t matter. Superman is Superman; his allegiance is to the people of Earth. Changing a slight detail like his citizenship doesn’t change that. Right, it isn’t that he’s an alien raised as an American, it’s that he’s an alien raised as a human, with all humanity’s best values. @Smeagol: Yeah, uh, actually I was kind of surprised about this, because I’d sort of thought he’d already renounced his American citizenship. I’ve actually been thinking of him this way for years. I see what you did there – that’s an allusion to Lana’s speech from Byrne’s post-crisis relaunch. Very clever, Mr. Braak. Very clever. @Braak: I wasn’t aware that Superman had ever actually applied for citizenship in the first place. I guess the United States just sort of shoved it on him at some point. Yeah, I’m kind of proud of Braak’s post here. I like it when he gets all thoughtful. And also I’m ragingly jealous, since my version of this post was going to be “SHUT UP YOU FOX-NEWS-WATCHING BASTARDS IT’S FRICKING SUPERMAN” and then be done with it. My roommate is a tattoo artist, and beleive it or not the Superman symbol is still a popular brand people get on their arm!